I’ve had these antique swinging coat hooks for a few years now and they’ve come in great use. They’ve held everything from sunglasses to umbrellas to coats to keys. The list could go on. In this house I had nowhere to hang it to allow it to hold coats and keys. I love it though, so I found a new place for it. I donated my old necklace holder and decided to use this instead. 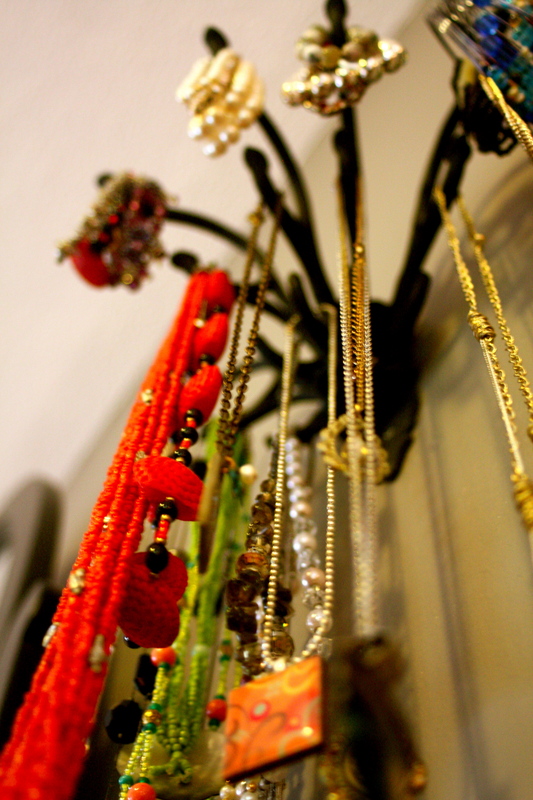 It fits perfectly next to my dresser mirror and has plenty of space for all my necklaces and bracelets. It makes it a lot easier to look through the jewelry and grab what I need. 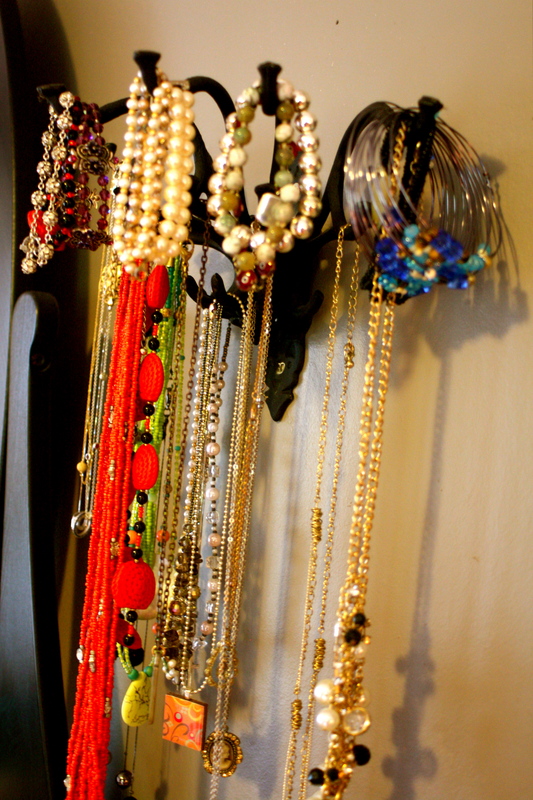 How do you guys hang your jewels? Any creative ideas out there? I still use this to organize my rings and earrings. Works perfectly and it was free!